Specialist inbound and two way bulk text messaging experts. A true UK company for administration, service delivery and ownership, allowing for unrivalled, reliable and reputable text message delivery and receiving with worldwide coverage. Many users of the World Text SMSC have exacting requirements, sending and receiving of bulk and critical text messages with customers, staff, emergency service personnel and remote machines (M2M) to name just a few. They put their trust in us to send and receive their text messages, day and night, worldwide. To back this up we don't charge for Premium Support, and all accounts come with extras at no additional cost. Industry standard for unparalleled high speed, high throughput of both outbound (MT) and inbound (MO) text messages. Multi-account, multi-binds possible to the World Text SMSC. The quickest and easiest way to get sending, including two way SMS. Hook up to your existing email system with no programming or experience needed. We don't charge for inbound text messages or require you to send text messages if that's not what you need to do. We'll always tell you up front about costs. Free use of the Auto Responder for processing, forwarding, responding and opting in & out of group contact lists. 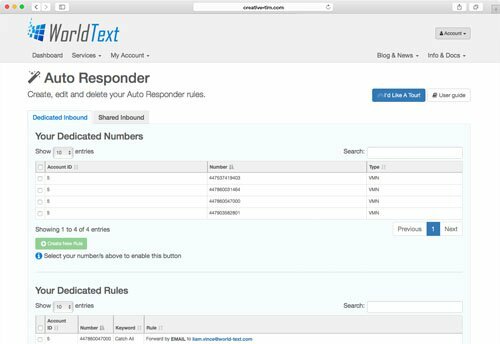 Using either web interface or the HTTP API, create and manage unlimited groups and contacts, with auto opt-in and opt-out to keep you compliant with regulations and user requests. Confirm and validate your numbers. Used for security, database cleansing and number intelligence. 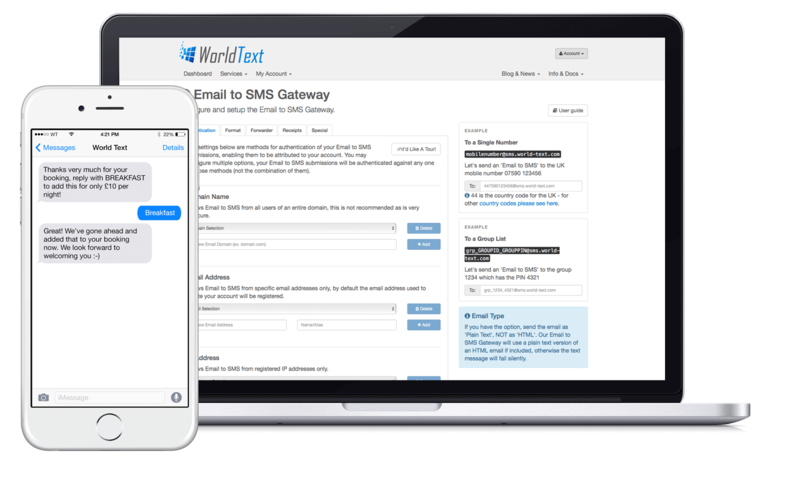 Sending text messages or receiving inbound text messages, we've got the solution for you. 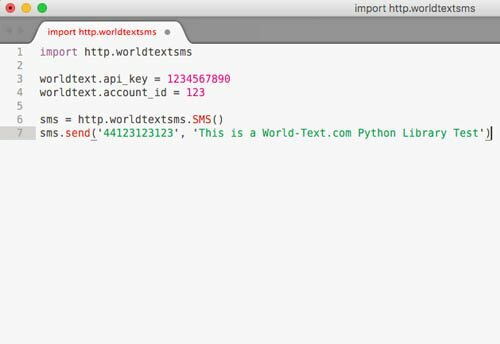 Get up and running in minutes using industry standard SMPP, or connecting to the World Text SMSC using our RESTful HTTP API for ultimate control. Want the ultimate ease of use? Our Communicator Pro free cloud software or Email to SMS Gateway will handle every part of the process for you, with no technical ability required. 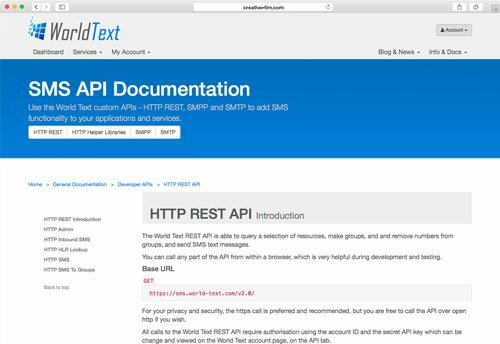 Everything from pre-written helper libraries, to extensive documentation of our industry leading HTTP REST API, including many custom functions. Advice and support from qualified, time served technical experts. Want to talk to us? No problem, just pick up the phone or drop us an email, we'll be happy to help! Hashed passwords, web security tests, military grade physical server security are just a few of the ways we protect your data. We keep other methods secret! Extensive and unrivalled global two-way text message support, with high grade Tier 1 direct operator connections for maximum deliverability. 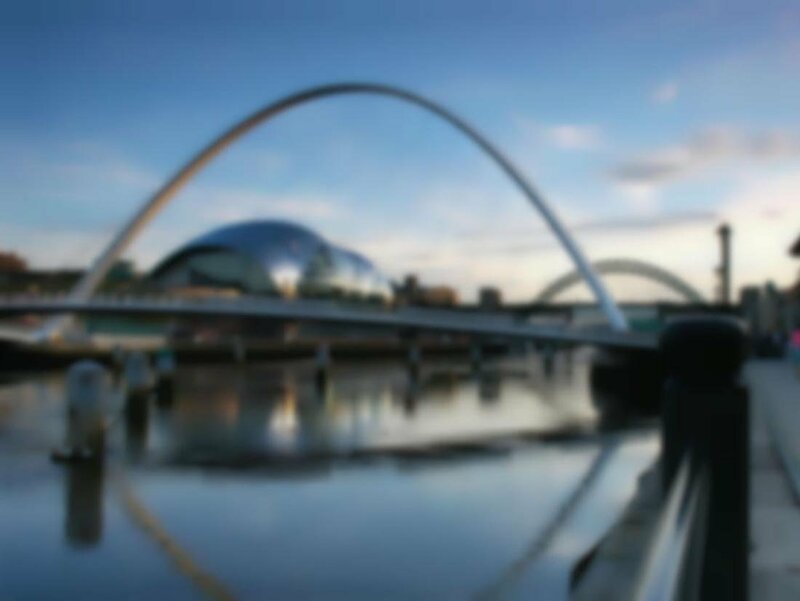 24/7/365 monitoring & testing with multi-location data centres for exceptional 100% uptime over primary and secondary servers and on-call engineers. 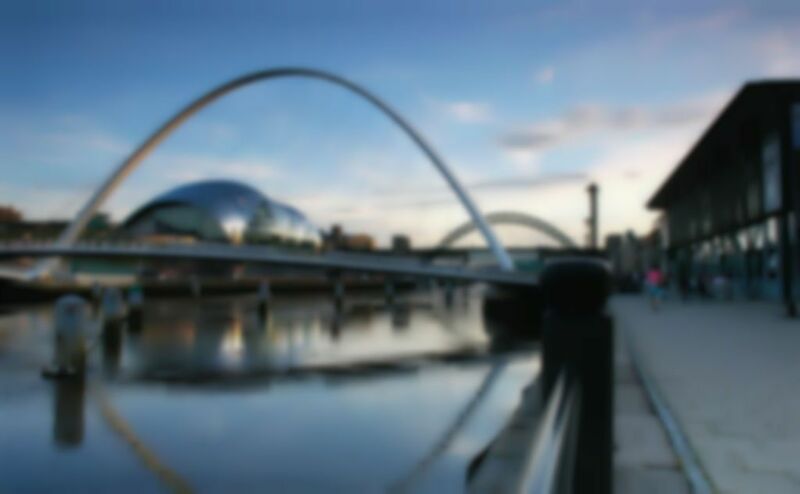 "Trusted and relied on by many multi-national organisations for bulk, two way and inbound SMS." Send and receive text messages online, by email, by SMPP or with an API in minutes. No credit card required and no commitment.